What better way to start a Saturday than with a Bottomless Brunch...one brunch dish & unlimited Prosecco, Mimosas and Bloody Mary’s? If you don’t want to go bottomless then just have brunch...11am-3pm. 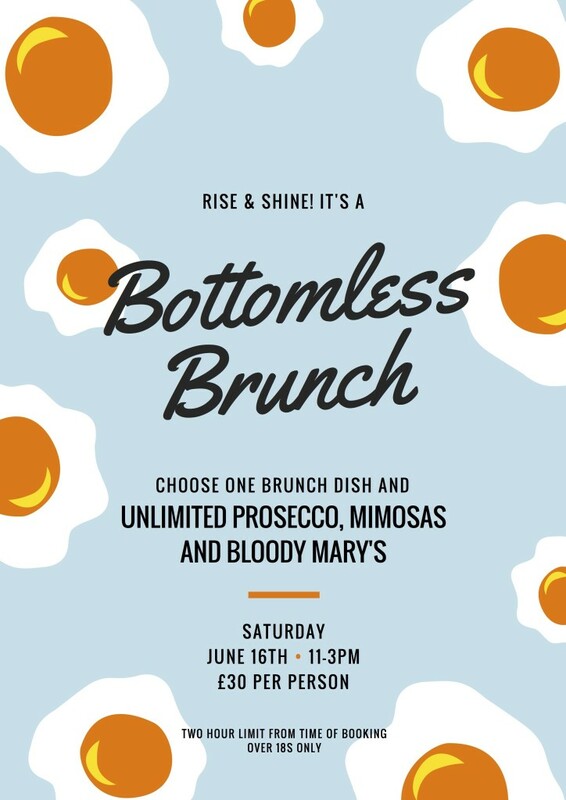 Two hour limit from time of booking and over 18s only for the Bottomless Brunch.